I just Threw This Together Quickly its not the best editing but we can tweak it to make it work using after effects. Do not post or link to cam / leaked / pirated / unofficially released footage from TLJ - thank you. Update! the trailer for the edit is done and I’ve got a release date planed out so here is the link to the trailer. 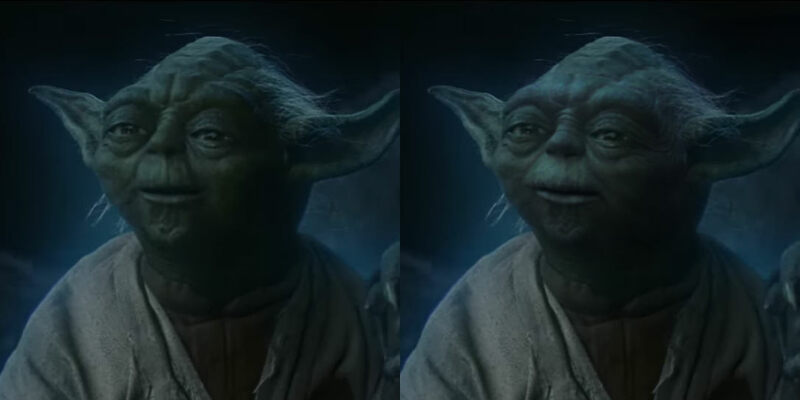 Man they ruined Yoda being in the film in a trailer? Glad I didn’t watch that. Being totally surprised when he showed up was delightful. How he looked was disappointing however but i got over it. As said ThatGuyWhoEdits, it would be interesting an extended fight of luke and kylo with doubles, and green lightsaber. Luke goes to the snoke ship, and faces Kylo Ren after the death of Snoke and his guardians. Then, luke uses the force to crash the rebel ship against the supremacy, and kylo kills luke, and luke becomes one with the force. I finished the first 25 minutes of the movie and I was about to upload it as a preview but as it turns out it exceeds my Vimeo limit. I said that as a joke when George said he’s making Kennedy a new head of the company. Now, after seeing the 3 movies she is responsible for, I say absolutely seriously “please, let Kennedy take care of the business side of things but make Filoni the creative boss”. She was a great producer, and a good business woman, but please give the franchise to the hands of a guy with a vision. It feels like in the rough cut of star wars when they wipe to luke mid battle don’t do that keep the tension inside jabas palace. Don’t wipe away. Put it after the jabba escape it ruins the tension and pacing of the flim. There’s something about Filoni’s Star Wars sensibility that rubs me the wrong way. Having watched Rebels, it feels remarkably sterile, existing in this purgatory between epic adventure and serialized drama. True but i would take it over holdo not telling plans to the Resistance and starting a goddamn mutiny. 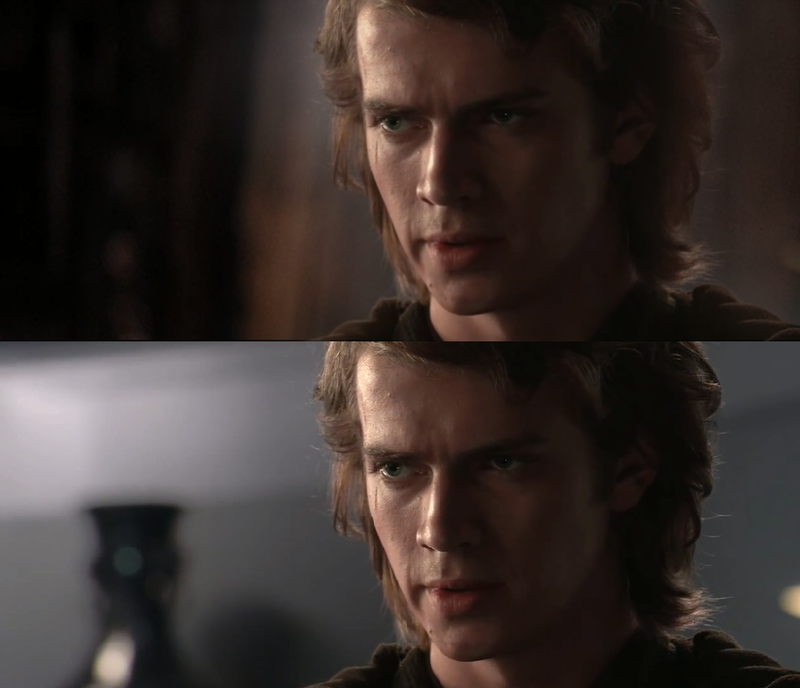 A Very Rough rotoscope on Anakin on mustafar. Is that supposed to be in Vader’s castle? No matter what it looks very good! Looks great so far, i love the robe change i aways had issues with the robes in the prequels. After watching colider Jedi Council about Dave Filoni I agree with them a lot. Look I like Kathleen Kennedy as a producer as a person who pays the bills. I think Dave Filoni should be the Kevin Feige of Lucas Film. Thread title and content edited. FakeApp - useful face replacement AI software for Fan Edits? I’ll post here too (I posted this in the TLJ edit ideas thread). Fixed face, enhanced mouth movements, ghost glow. I think you have to import your own still for the starfield behind the crawl. Wow disney allowed floni to go mature for 4 episodes. The misquote random thought out of context thread. Update Color Correction has been added to the first 12 minutes. Idea put in the crawl that there is a spy in the resistance so that fixs some issues with the holdo plot and that is why she wouldn’t tell the Resistance her plan. 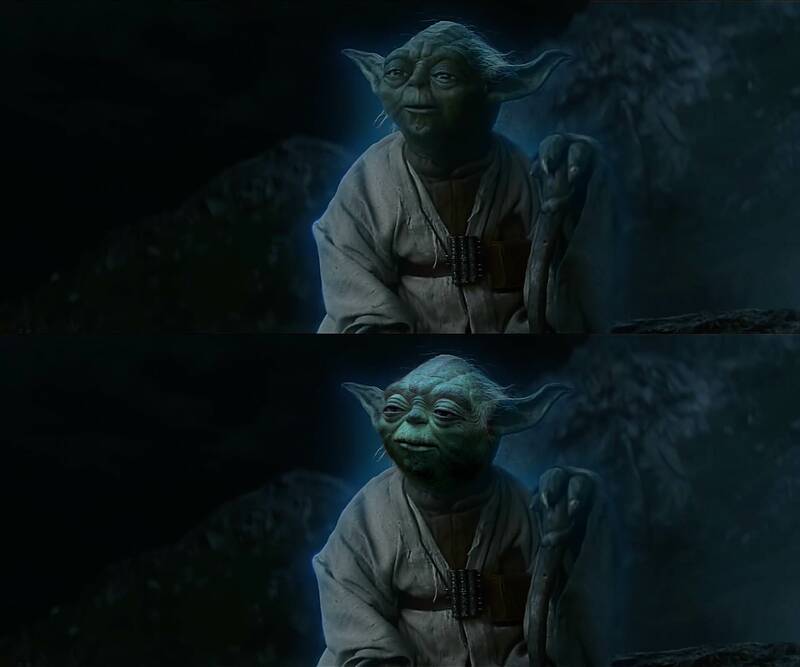 The absolute best use of this would be to take the face of ESB Yoda and put it over TLJ Yoda. I want some of what bottom Yoda’s smoking. Why does It look to him? What does It look to CG for? Assistance? guidance? These are questions we may never find the answers to. That’s because it’s a “quick photoshop attempt”. I think I can make this work in the movie with After Effects rather than FakeApp. Would it be okay if they still refer to the Star Destroyer as a “Battle-station”? Lets try to predict your age thread? Guess mine. Winner gets a cookie.